Get used to this one simple fact: You are not going to feel much like doing anything for a while. It may be difficult for you to find the energy or emotional resources to do even the simplest of tasks. You may be hit with economic hardships and will certainly feel you have lost a certain level of status in the community. 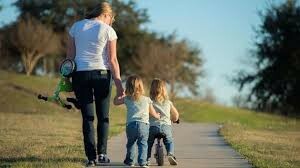 Even though there are many single mothers in the world today, you will still feel as though you are the only one. You will feel that people are staring at you, feeling sorry for you, or seeing you as damaged goods. You are no longer a married woman with the protection that status offers in our society. But never fear—you’ll get over it. When you realize that you have your freedom and that you have the inner strength to move forward into a life that fulfills you and suits your needs, you will no longer feel so frightened. You are much stronger than you would ever have believed. If you feel like falling apart, don’t hide it from your children (well, maybe a little). But make sure they know they have done nothing wrong. Tell them you are just feeling sad or even frightened but that you will all learn to do what needs to be done. Children are perceptive enough that you can’t tell them everything is rosy when it is not. But you need to show them that even though you are scared you will never leave them. They need to see that you work hard to overcome obstacles and do not give up. This is the message you want to send them, even when you feel like hiding under the covers with a pillow over your head. When you are divorced you do not want to look to your ex-husband to do husbandly things for you. You need to develop your independence, and your children need to see that there is a clean break. This does not mean you should not be nice and friendly when there are transitions or situations involving the children. It means that you should go out and buy a tool kit. Ask neighbors or friends for help before you turn to your ex for the things he used to do around the house. You need to learn to rely on your own resources. Even though you may have been basically on your own during the marriage, it can feel surprisingly weird not to have another adult in the house. It takes some adjustment. Many newly single women experience a loss of economic status. Instead of living in a house as you did when you were married, you may be living in an apartment. You may need to live with a relative. You may even need financial assistance. Do not feel embarrassed or ashamed if you need to ask for help from relatives or from the government. Even if you are blessed with a good financial settlement you may still need time to get on your feet and get used to managing on your own. If you need to turn to neighbors or friends for help around the house be aware that there is now a different set of rules. As a newly single woman you may now pose a threat to even the closest of your female friends. If you need to borrow someone’s husband or boyfriend make sure you do not appear too flirtatious. You would be surprised to see how territorial females are about their men. You may be thinking, “You can have him! I don’t want anyone in my life at the moment.” But they are thinking, “Now she is single again and my mate is going to find her more exciting.” Just don’t allow things to move in that direction. Be aware that everyone needs to adjust to your new status.